Calgary's plaidiest ride returns. 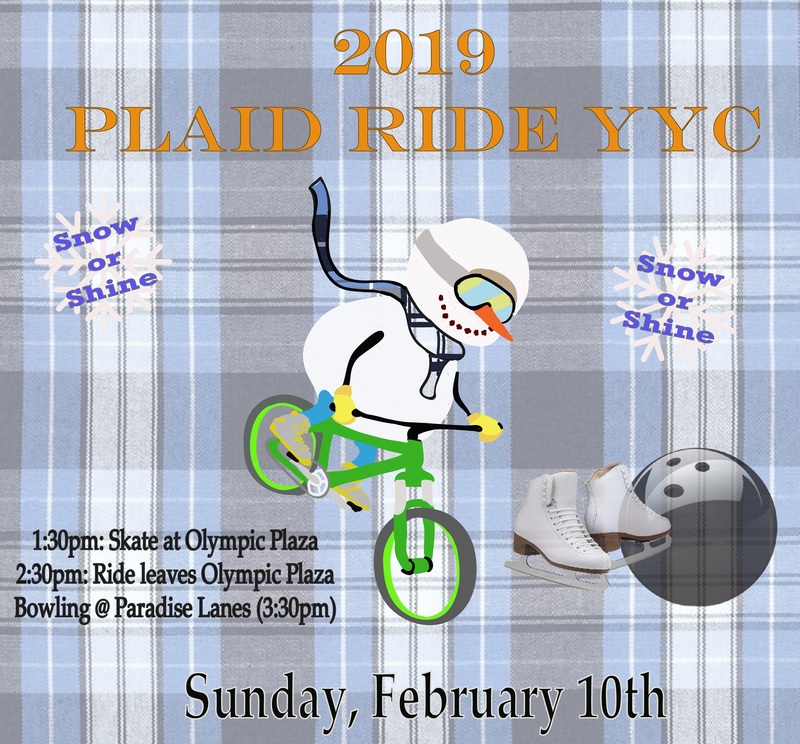 Wear some plaid, and join a group for skating, bicycling, and bowling. The ride will happen no matter the weather, but the route will be modified as best it can be based on conditions. This is a family friendly ride. 2 bowling lanes are booked, so a total of 12 bowlers can take part, but if more show up hopefully we can snag more. The cost of bowling lanes is to be split among all participants ($50 per lane for an hour, cost of shoes included). We will once again be tagging on with the Great Canadian Kilt Skate at Olympic Plaza, so expect kilts, plaid, and some grande Scottish entertainment (http://www.kiltskate.com/new-events/). Skates can be rented at Olympic Plaza.